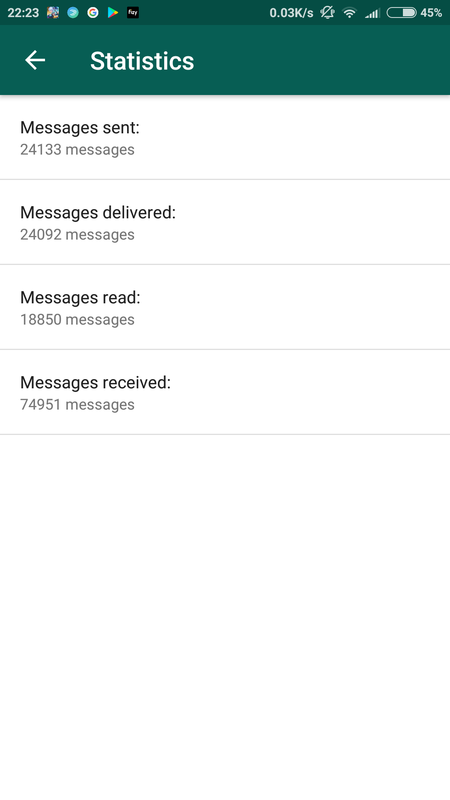 APKMirror now has the app file available to download, but you won't be able to use it unless you sign up as a tester first. The app will be a standalone listing on the Play Store so it will make things easier for account managers who want to separate between their personal and business conversations. WhatsApp explains how to manage these two accounts depending on a few scenarios. If you're a small business and you're intrigued about how things will work, I suggest you read the details in the slide below. The most intriguing to me is landline phone number support. As far as I can tell, WhatsApp doesn't support that now, so it's amazing to see it coming. 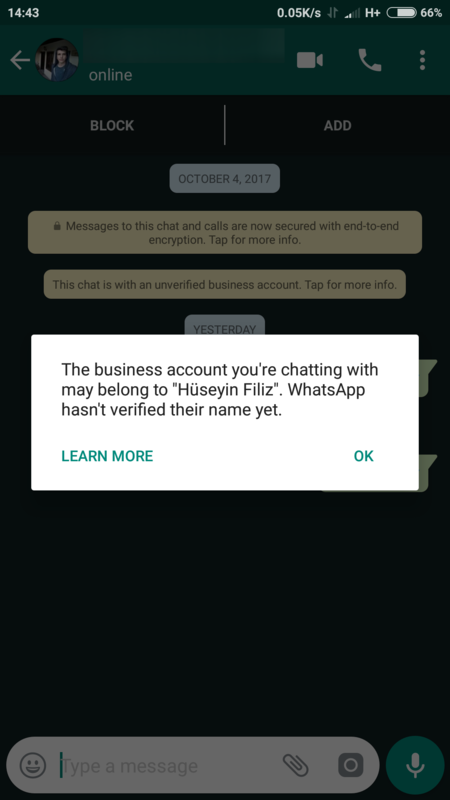 Many of my patients/customers want to reach me over WhatsApp and so far I've had to give them my personal mobile number. It may be a hassle to migrate those back to the landline number, but at least I can give new customers the landline number and avoid them messaging me on my personal number. The ability to install both apps simultaneously should be very welcome to small business owners like me who have often received work notifications at night, or who are always at a loss of what to do when friends rain on them with messages during work hours or when clients ping them continuously during closing hours. Having the personal and business chats separate in two apps should reduce the headache of all that management. The Android app can be found on the Play Store at this link. You likely won't be able to see it because you need to be a Beta tester and that is still a private beta testing program. 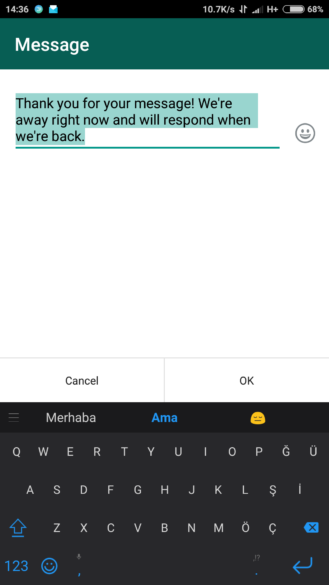 It has the same icon as WhatsApp, but the phone icon is replaced by a big letter B - check the image at the top of this post to see it. 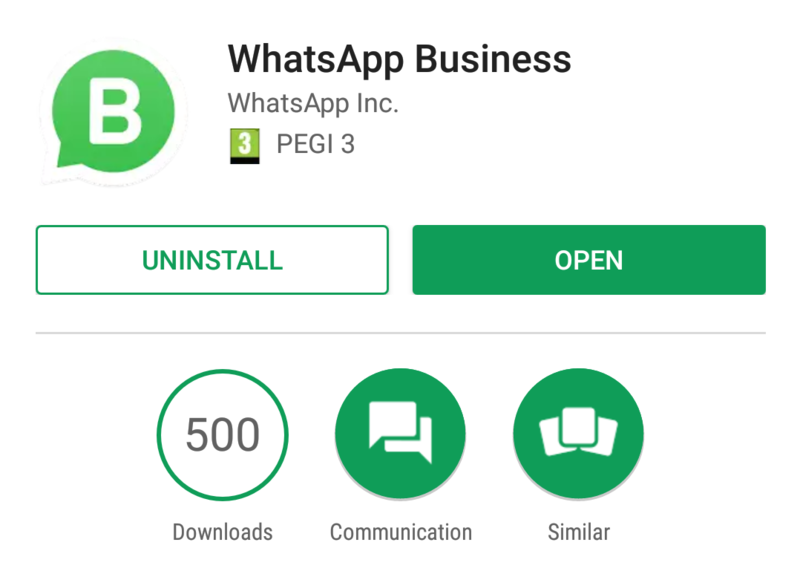 Once downloaded, the app looks the same as WhatsApp, save for one change: the title bar says WhatsApp Business. 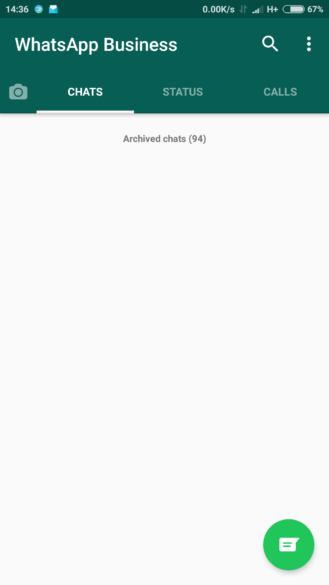 There are tabs for your camera (and thus the fancy image status), chats, status, and calls. It's all standard fare. 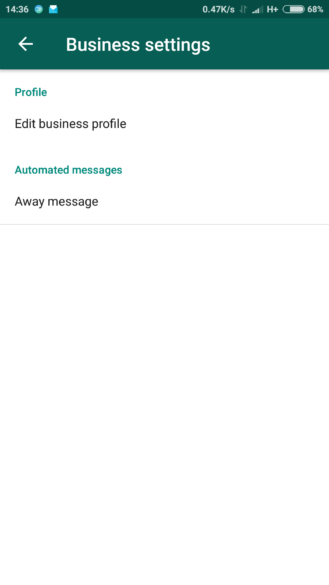 The changes will start appearing when you head into Settings. 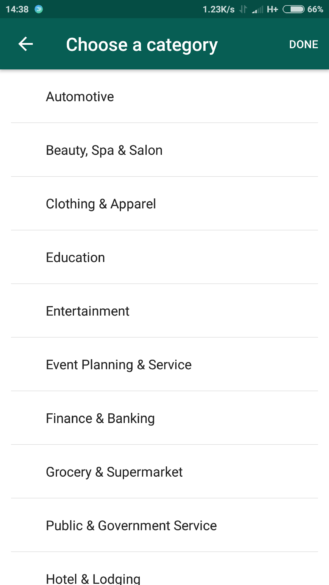 There you'll find two new sections for Business settings and Statistics. Statistics is pretty basic right now. 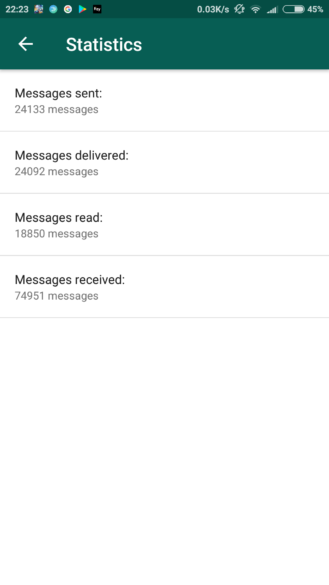 You get the total of messages sent, delivered, read, and received. It's not the kind of "analytics" I would have expected in a Business messaging app, but this is probably just the start. More stats should hopefully come soon to help you understand engagement from your customers, your responsiveness to messages, and other important metrics for businesses. 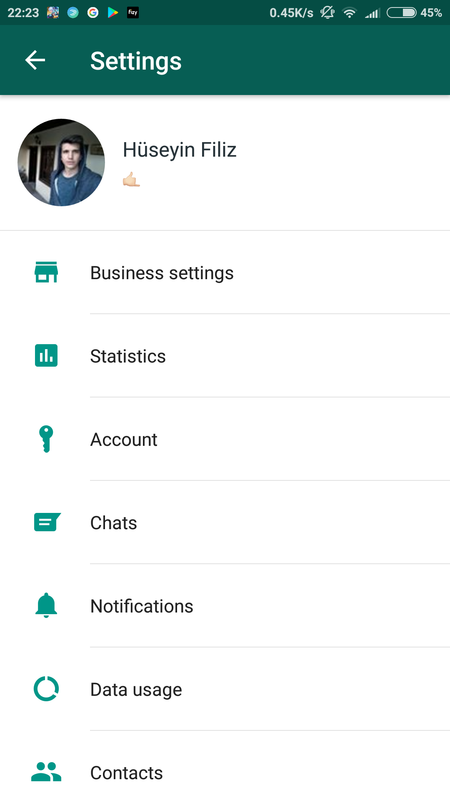 As for Business settings, they have two main sections now: your profile and away messages. We'll explore each separately below. 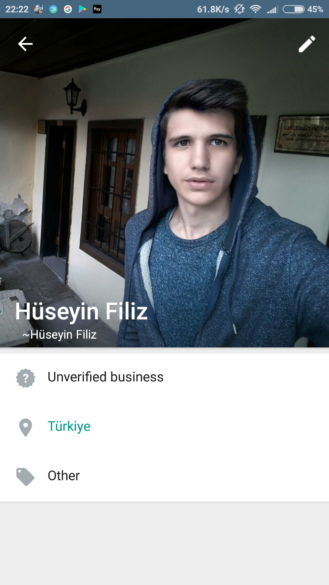 The main page of your business profile has an expanding profile picture, your business' name, a Verified/Unverified status badge, and any other data you've entered. 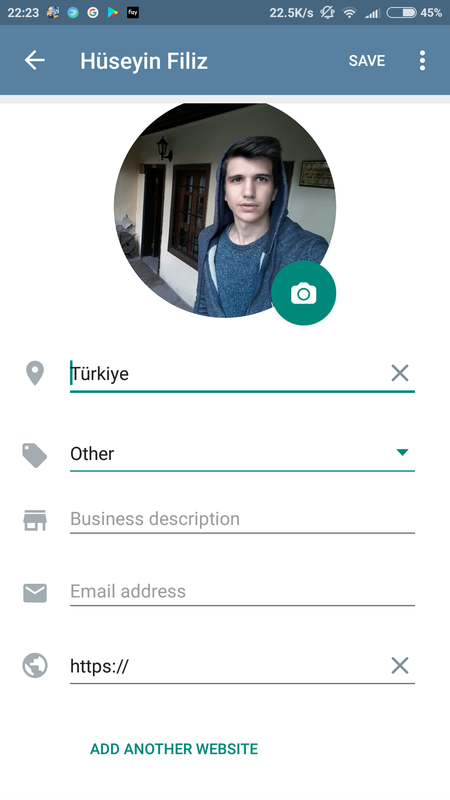 This is basically what customers will see when they add you and try to contact you. Tap the pencil icon on the top right and you can change any of those details. 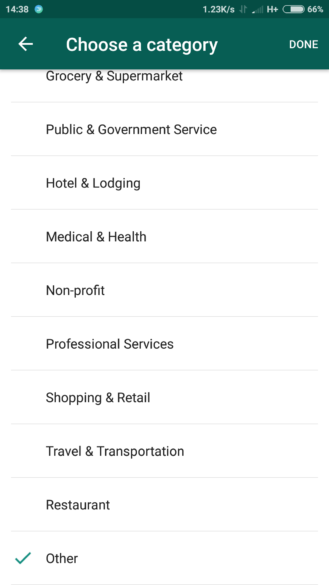 This includes adding a location, categories/tags, a description of your business, an email address, and one or many website addresses you want to point people toward. 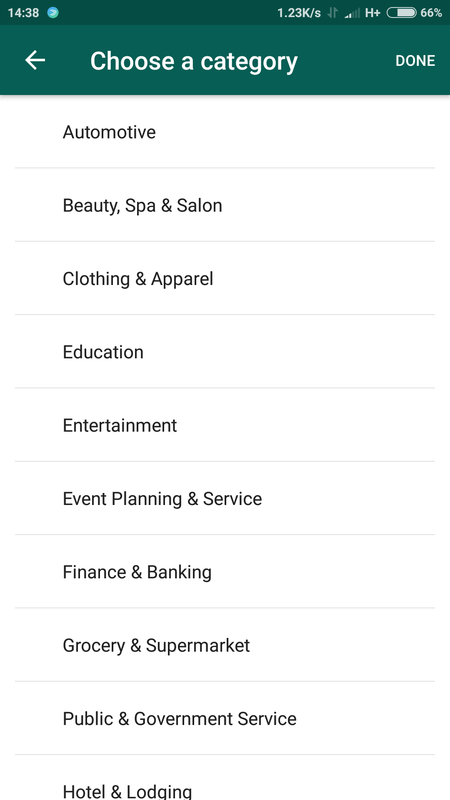 Categories are actually quite extensive so technically you should find something to describe your business. If not, there's the ever-present Other to pick. 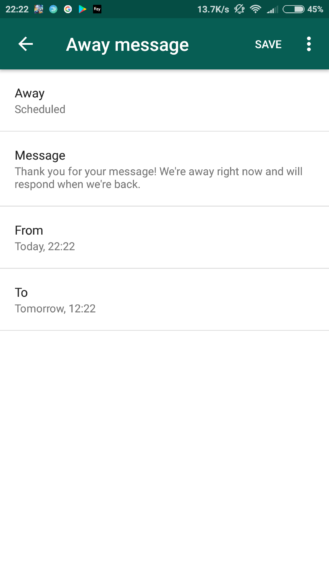 Away messages are automated responses that your customers will get when they try reaching you and you're not available. You can set them to on, off, or on a schedule. The message can be personalized to include any text you want (+ emoji!). As for scheduling, it's quite rudimentary now. 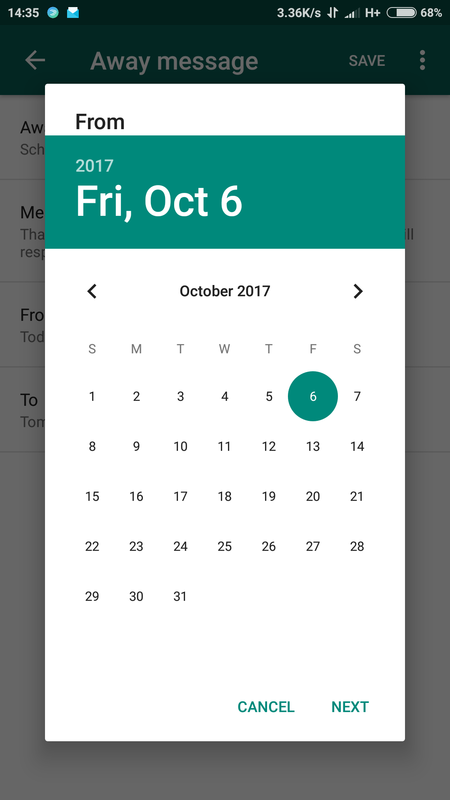 You can set a start and end date and time, but I hope that gets improved. 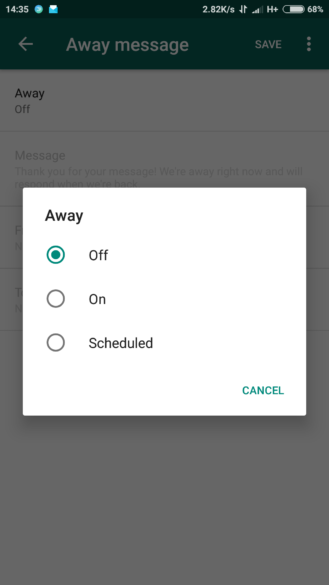 Recurrent options like every day or every Saturday and Sunday for example should be possible, that way you don't have to manually turn it on every night or every weekend. 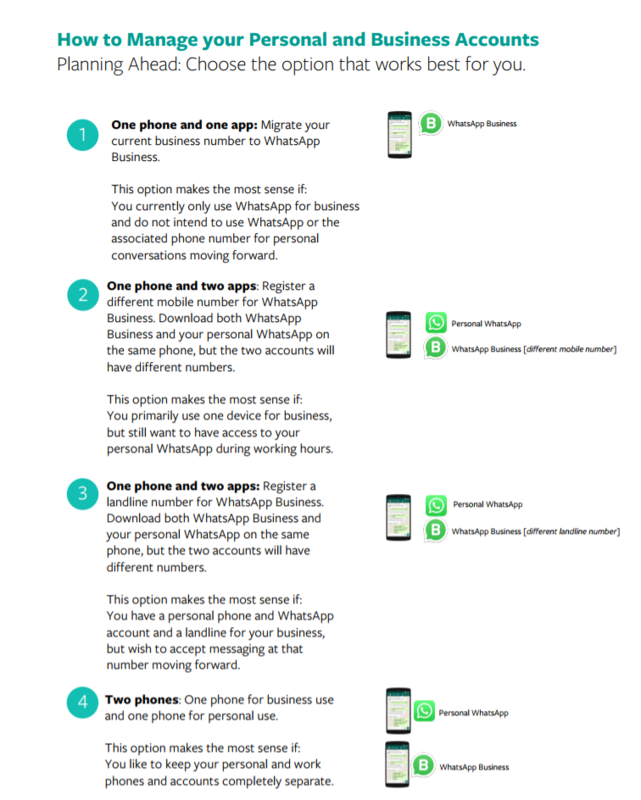 And that's what we've discovered so far that's different between WhatsApp Business and the regular app. 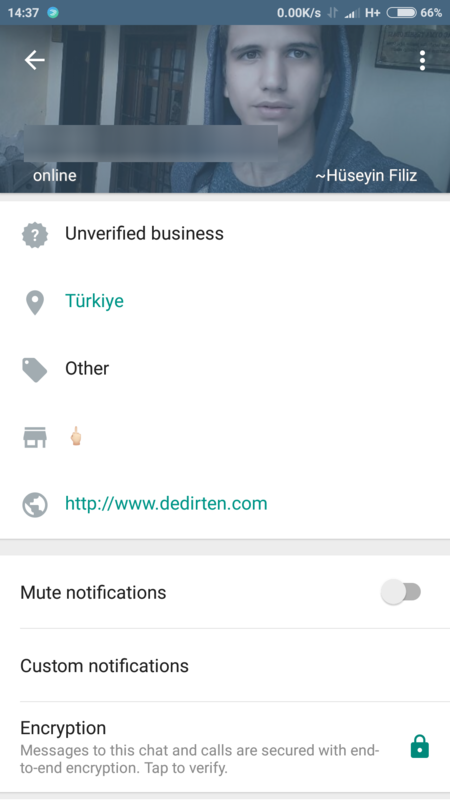 For the most part, the rest of the app is unchanged, but there could be more hidden features for businesses only when you start a chat or get notifications for example. When your customers add your phone business' number and try to reach it, they will see a yellow briefing for end-to-end encryption (happens with regular personal chats too) as well as a pop-up and yellow briefing that they're talking to a business account and it has/hasn't been verified yet. 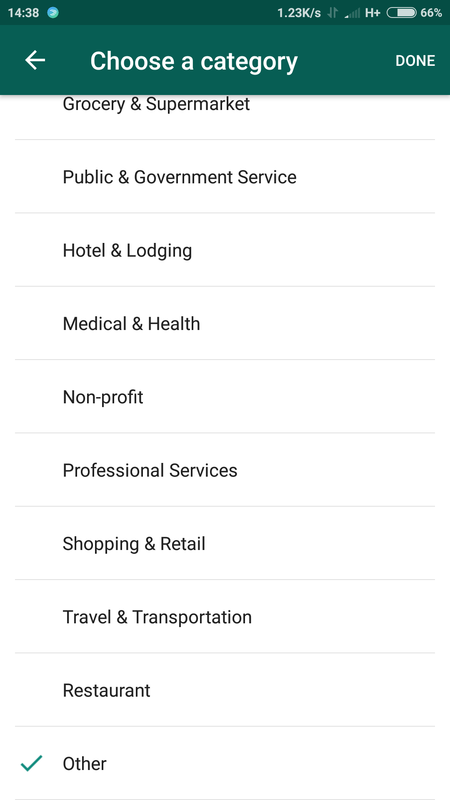 If they check your profile, they'll see all the details you've manually applied in your business profile: image, verification status, location, category, email address, web address, and so on. So what do you think? Maybe WhatsApp Business isn't something many of you will use, but if you live in a country where everything happens on WhatsApp, you'll definitely come across businesses who use it at some point and you probably have thoughts about how they should/shouldn't handle this transition to a Business account. As a small business owner, I like what I see. I was pleasantly surprised by the landline support addition and the well thought multiple account management possibilities, but I'm expecting better analytics, better away scheduling, and more useful features in the future. 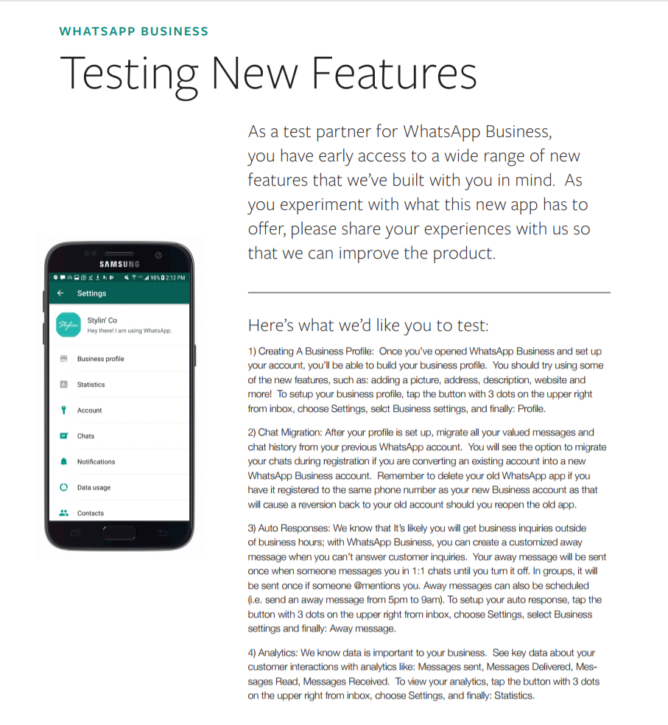 You can't download WhatsApp Business right now (and neither can we) but you can sign up to test it here. Once you do, and if you're lucky enough to be accepted in the test, you should find the app on the Play Store at this address.